Naik, N., Jagadeesh, K., Noolvi, M. (2010). Enhanced Degradation of Melanoidin and Caramel in Biomethanated Distillery Spentwash by Microorganisms Isolated from Mangroves. 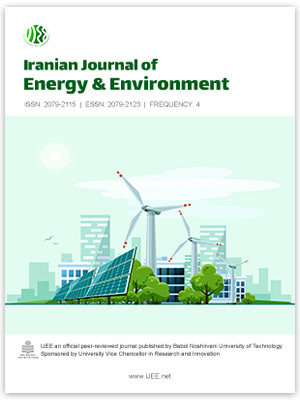 Iranian Journal of Energy and Environment; previously called: Iranica Journal of Energy & Environment, 1(4), -. Nagaraj Naik; K.S. Jagadeesh; M.N. Noolvi. "Enhanced Degradation of Melanoidin and Caramel in Biomethanated Distillery Spentwash by Microorganisms Isolated from Mangroves". Iranian Journal of Energy and Environment; previously called: Iranica Journal of Energy & Environment, 1, 4, 2010, -. Naik, N., Jagadeesh, K., Noolvi, M. (2010). 'Enhanced Degradation of Melanoidin and Caramel in Biomethanated Distillery Spentwash by Microorganisms Isolated from Mangroves', Iranian Journal of Energy and Environment; previously called: Iranica Journal of Energy & Environment, 1(4), pp. -. Naik, N., Jagadeesh, K., Noolvi, M. Enhanced Degradation of Melanoidin and Caramel in Biomethanated Distillery Spentwash by Microorganisms Isolated from Mangroves. Iranian Journal of Energy and Environment; previously called: Iranica Journal of Energy & Environment, 2010; 1(4): -.